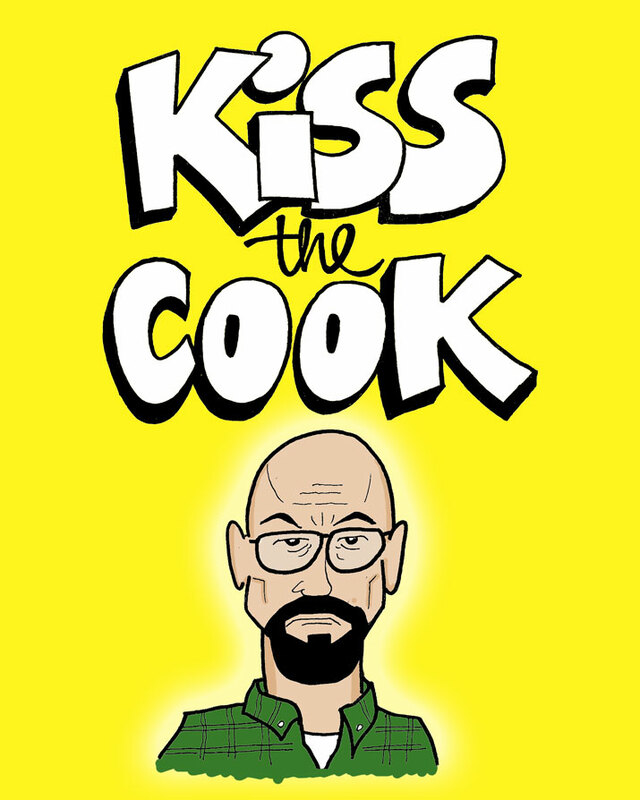 Today's drawing is some hand-lettering featuring a caricature of Walter White from Breaking Bad. 2 weeks ago I was hit with the flu, which had me pretty much out of commission. So, while I was flat on my back, I spent some time with Walter White and Jessie Pinkman with a Breaking Bad episode marathon on Netflix. When this show premiered in 2008, I didn't take to it right away. The main reason was that I started watching at Season 1 / Episode 4. If fans recall, Episode 4 ("Cancer Man") was where Walter reveals that he has cancer. At that time in my life, I was also going my own'cancer episode', so I wasn't real keen on watching a show about it, as my own reality was hard enough to take. Looking back, I really wish I'd watched the first three episodes, because it's definitley up there with some of my favorite television right now (along with 'The Wire' and 'Mad Men').